Phillip Hancock, Senior Vice President of Property & Casualty Insurance, is a long-time resident of Florida and graduate of the University of Florida where he was on the golf team and was the Fred Haskins award winner. He began his career competing in more than 250 events worldwide with 2 PGA TOUR wins and 2 International wins. Upon leaving the professional TOUR, Phillip was named Director of Golf for a large private club. This experience provided extensive knowledge for customer service, retail sales and a thorough understanding of daily club operational duties. 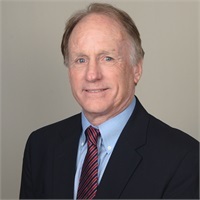 With an extensive business network and familiarity with clubs in Florida and throughout the US, Phillip recognized his passion to consult and assist golf clubs with their insurance and benefits needs. Phillip welcomes each opportunity to provide a consultative approach utilizing his extensive knowledge and expertise in the golf industry. Phillip holds a Bachelor of Science Degree in Journalism from the University of Florida. He is licensed in Florida, Georgia and Alabama, holding a 2-20 Property & Casualty License and concentrating on businesses and personal lines. Dan Goldberg is licensed in AL, AZ, CA, CO, CT, DE, FL, GA, IA, IL, KS, KY, LA, MA, MD, MI, MN, MO, MS, NC, ND, NE, NJ, NY, NV, OH, PA, RI, SC, SD, TN, TX, VA to offer insurance products, and life insurance (including variable life), annuities (including variable annuities), and is securities registered in AK, AL, AR, AZ, CA, CO, CT, DE, FL, GA, HI, IL, IN, KS, KY, MA, MN, MO, NC, ND, NE, NJ, NV, NY, OH, PA, RI, SC, SD, TN, TX, VA, WA and adviser registered in FL. Keith Willett is licensed in FL, GA, IL, LA, PA, TX, to offer insurance products, and life insurance (including variable life), annuities (including variable annuities), and is securities registered in FL, PA and adviser registered in FL. Joe Sissel is licensed in FL to offer insurance products, and life insurance (including variable life), annuities (including variable annuities), and is securities registered in FL and adviser registered in FL. IMPORTANT CONSUMER INFORMATION: Dan Goldberg, Keith Willett and Joe Sissel may only transact business in a particular state after licensure or satisfying qualifications requirements of that state, or only if he is excluded or exempted from the state's registration requirements. Follow-up, individualized responses to consumers in a particular state by Dan, Keith and Joe that involve either the effecting or attempting to effect transactions in securities or the rendering of personalized investment advice for compensation, as the case may be, shall not be made without first complying with the state's requirements, or pursuant to an applicable state exemption or exclusion. For information concerning the licensure status or disciplinary history of a broker-dealer, investment adviser, BD agent or IA representative or any financial institution he represents, contact your state securities law administrator. Insurance products from the Principal Financial Group® are issued by Principal National Life Insurance Company (except in New York), Principal Life Insurance Company, and the companies available through the Preferred Product Network, Inc. Securities and advisory products offered through Principal Securities, Inc., 800/247-1737, Member SIPC. Principal National, Principal Life, the Preferred Product Network, and Principal Securities are members of the Principal Financial Group®, Des Moines, IA 50392. Dan Goldberg, Keith Willett amd Joe Sissel, Principal National and Principal Life Financial Representative, Principal Securities Registered Representative, Financial Advisor. One Source Advisory is not an affiliate of any company of the Principal Financial Group®.